Beyond the glow of the large-format digital displays that replaced whiteboards and projectors in many learning environments, something even bigger is brewing. AV has had a positive impact on the education market, but in terms of real innovation, not much has changed in the typical classroom. Today’s passive AV learning tools—essentially large, mounted screens hardwired to an AV source like a laptop or fed a beam from a projector—are really just bigger, more attractive versions of the old overhead projectors from decades ago. A new trend in education is starting to change that paradigm, and alter AV requirements in the process. The concept of active learning, a classroom philosophy that engages students in the learning process and aims to prepare them for real-world problem solving, has been around for decades. Active learning is gaining traction today thanks to the continuing evolution of AV technologies. Facilitating this change in learning styles is the reliance on software- and cloud-based sharing systems such as Zoom and Skype, which students and instructors can use to collaborate in the classroom. “The shift I’m seeing is that we went from selling individual AV systems to selling digital platforms that connect the classrooms,” Routman said. As he pointed out, though, there are no true plug-and-play systems for active learning. And with the multitude of collaboration platforms and ecosystems on the market, there may never be an easy solution for most laypeople. That leaves an opening for AV integrators, who can help universities and secondary school educators establish systems that support their teaching methods in a field that remains largely undefined. Michelle Hull, a project manager at Level 3 Audiovisual, is seeing similar trends in clients’ needs, and is working to meet them so clients can “stay relevant in the ever-changing world. “AV installations are being driven by the increased use of technologies such as wireless sharing, collaborative products, [and] videoconferencing—mainly soft codec,” she noted. Regardless of how active learning is defined, the screens and interfaces that allow collaboration in wired or wireless environments are still essential equipment. 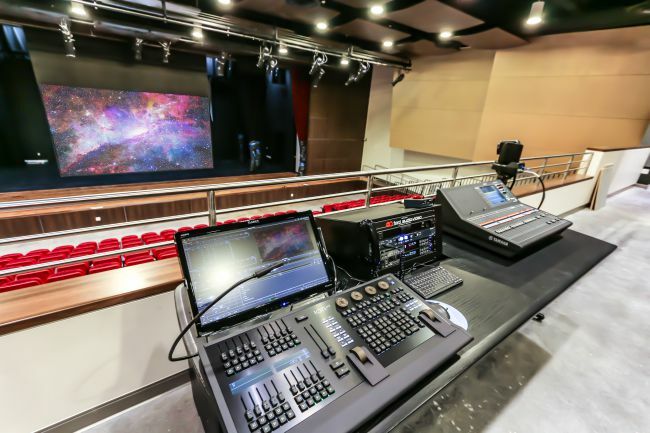 For every cloud-based sharing platform students and teachers use to create content, there remains a need to transport that content to the entire classroom or auditorium, via large-format LED or LCD screens, or projection systems. Another key element of this arrangement is the layout of the classrooms themselves. Modular or pod learning environments liberate students from the traditional row of individual desks in favor of circular desks that can seat a small group. 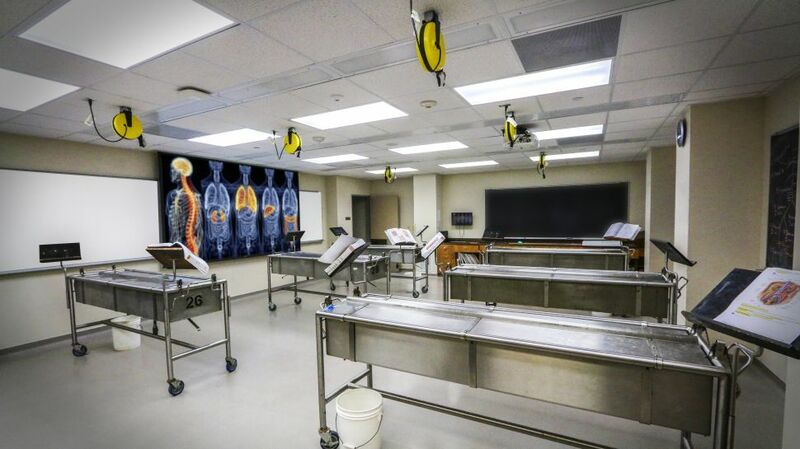 Routman recently worked with the University of Arkansas on a similar design whose objective was to enable students to work together in groups, with a single display at each station, and then share that content with the entire class on a larger display through collaboration tools. While the AV market has made huge strides in minimizing and disguising the AV footprint, Routman cautions against the temptation to place building aesthetics over actual learning functionality. Streamlined designs create interesting spaces, but viewing distance and angles must be the main consideration—after all, AV is only as effective as its implementation. “We were looking at a classroom recently where the projector was offset to the left side of the room, so only people on the left side of the classroom could really see what was going on,” he said. “They did this because they didn’t want to block the beautiful glass wall they had. Hull said that distance learning is accelerating the adoption of collaborative environments in the education market based on platforms such as Zoom. Simplicity is always the best way to eliminate wasted time and distractions in making systems work together, she noted. 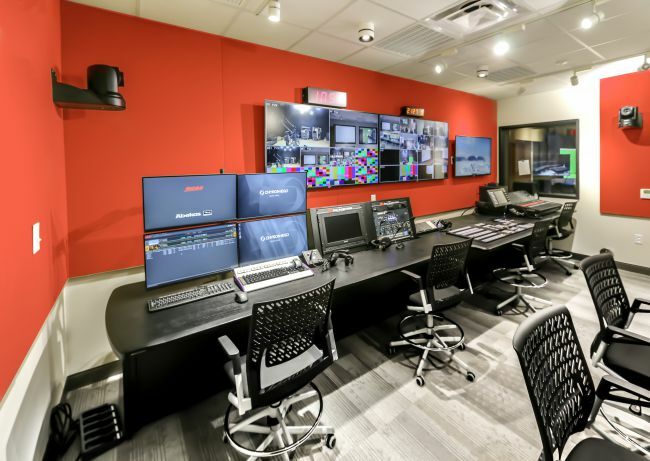 Routman said that replacing outdated technology eliminates unnecessary complexity, such as having a large switcher to route and control all the different content sources in the classroom. Such environments enable universities to not only deliver better classroom instruction for both on- and off-site students, but also to house information in easy-to-access, centralized databases—often shared through the cloud. “For things like distance learning, you’ve got web conferencing, but then you’ve got the whole arena for capture and content management,” said Routman. You capture the class and upload the video to a CMS, which the students can access with their university credential. Once they’ve logged on, they’ll see a list of all their classes, and they can pull up a video of a class lecture or presentation. Both Routman and Hull note that bring-your-own-device (BYOD) is still at play in the education market, driven by the expectations of digital-native students who can be more adept at finding solutions to connectivity issues than classroom instructors. Designing systems that accommodate third-party devices isn’t going away. 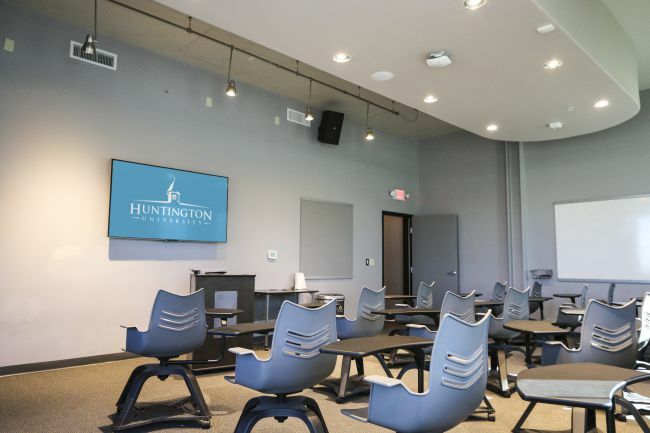 As the education market continues to pursue collaborative learning environments, AV designers and integrators are uncovering opportunities and developing solutions to simplify the systems that support the needs of students and instructors.